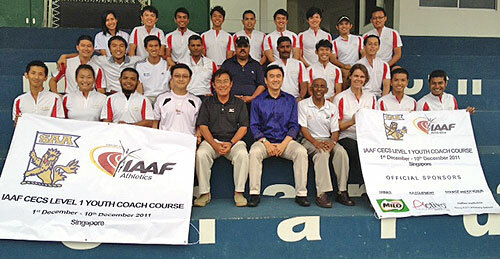 The below is a list of certified coaches from the recent IAAF Level 1 Youth Coaching Course. They are certified to teach and coach Kids Athletics and Youth Development Athletes under the new 2011 IAAF Coaches Education & Certification System (CECS). SAA congratulates and wishes them all the best. Want to be a coach: Sign up to our mailing list. You’ll be informed of future SAA coaching courses.